Isokern is manufactured from natural pumice sourced from the Hekla volcano in Iceland by Schiedel. The unrivalled insulating properties of Isokern allow the flue gases in the chimney to quickly reach their optimum temperature enabling the heating appliance to reach its optimum performance shortly after lighting. The chimney also remains warmer for longer as the heat output of the appliance decreases; aiding performance and reducing the likelihood of condensation and soot build up. Isokern is available in two systems; double module and flue liners. Fire chests, gathers and outdoor fireplaces are also available. Lightweight materials; easy to handle. Highly insulating pumice for better draw and minimum heat loss. The Isokern DM systems are simple and quick to build, with outer and inner blocks laid at the same time but with staggered joints for safety and stability. DM systems are suitable for wood burning, solid fuel, oil and gas but not for condensing applications. Ideal for new build houses. 3 DM systems; DM36 (150mm internal diameter), DM44 (180 and 200mm internal diameter) and DM54 (300 and 345mm internal diameter). Staggered joints for maximum safety and stability. Air gaps between outer casing and flue prevents surface staining. 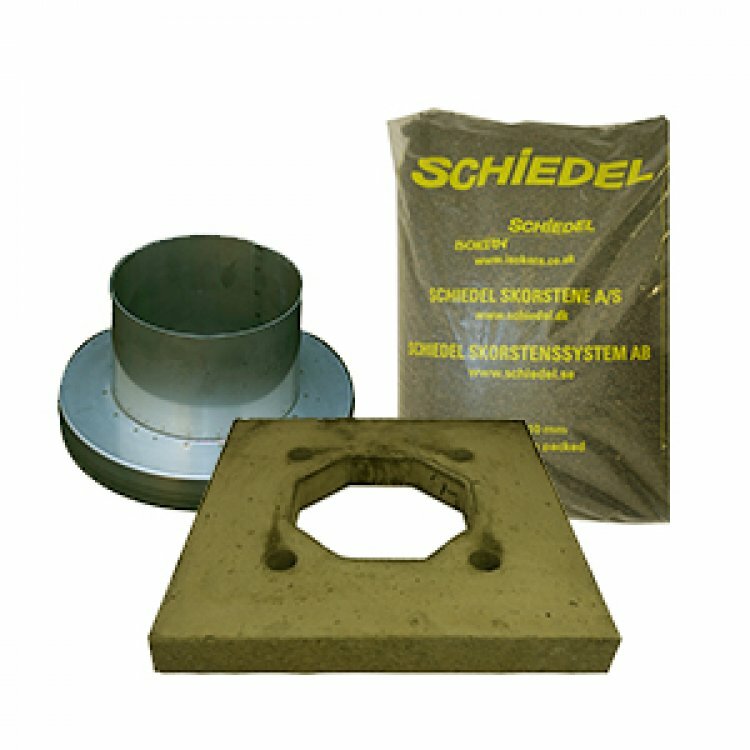 The Isokern liner system is for use in masonry chimneys where the linings are surrounded by 100mm of brick, block or stone. The linings are suitable for all fuels but not suitable for condensing appliances, including pellet and biomass. Pumice liners can be used in new build as well as relining existing masonry chimneys. Available in a range of 15 diameters from 150 – 1000mm internal diameter. 600mm and 1000mm lengths mean fewer joints and fast to install. Isokern fire chests and gathers complement the Isokern chimney systems which are designed to create a complete system, avoiding many of the variable factors that lead to draught problems and smoky fireplaces. They are cast using lightweight, highly insulating pumice. The fire chest components are supplied flat pack and interlock like pieces of a 3D jigsaw to form a sturdy, robust fireplace recess and gather with an opening from 500 to 1250mm. The fire chest is load bearing and will carry up to 2,600kg of chimney above, or more with the use of additional lintels. 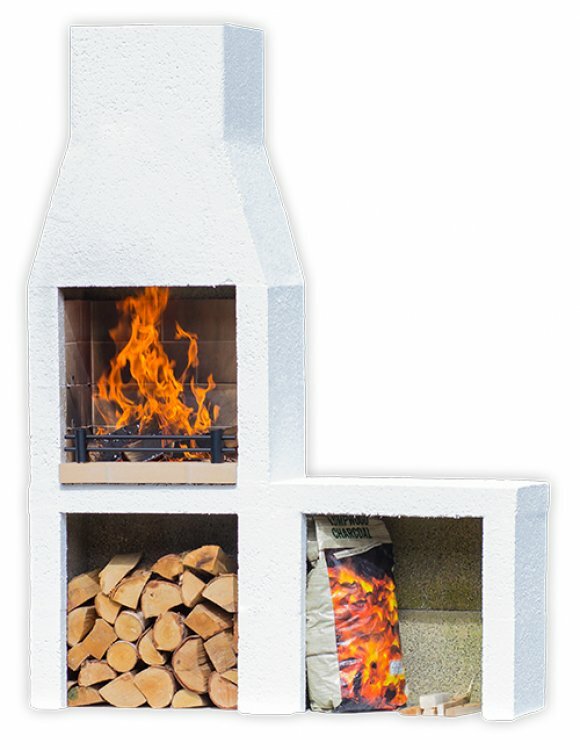 The Isokern Garden Fireplace is the ideal solution for outdoor living. It is available in 4 sizes and is delivered as a complete kit. The natural pumice give the Garden Fireplace all the insulation needed to have a safe and spectacular focal point in any garden. (Garden 500) Log retainer and barbecue grill.